Interested in advertising with music sa? Music SA is a not-for-profit organisation, and for over 20 years we have been championing original contemporary music in South Australia. We are a leading provider of many successful activities across SA that service artists, industry practitioners, music businesses – and of course music fans! There is strong brand equity in the name “Music SA” – we ARE South Australian music and we are here to inspire, inform, grow and celebrate all there is within our vibrant local music scene. The Music SA website is a flagship product for our company, and hosts over 1419 listings of SA Artists, Venues and Businesses. We showcase an expansive range of content from Gigs and Events, to industry News & Opportunities, lots of Artist Features and plenty more. Our site attracts an average of 42,000 unique visitors per month – that’s over 1000 different visitors daily! With 166,500+ page impressions monthly, we are a high traffic site enjoyed by those passionate about music. Our visitors are actively engaged in South Australian music, from punters to industry professionals, fans to our favourite bands. They are hungry for details on the latest gigs, new music, hot videos and festivals, and are savvy about what’s making noise in our SA scene. As well as a clear love for music, their arts & entertainment interests also extend to TV, Movies, Travel and Shopping – and they are online News junkies! They are also actively engaged with our social media pages. 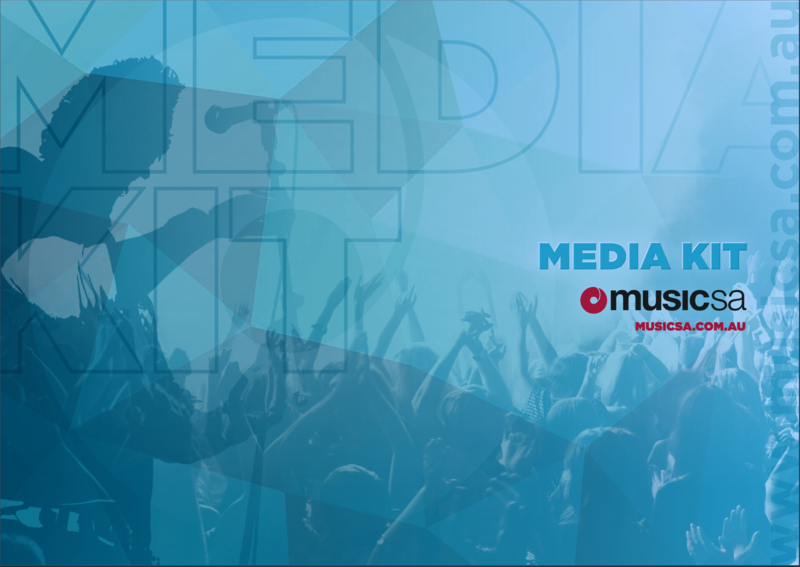 Full details on our audience, advertising options, specs and prices are in our MEDIA KIT (pdf). Download the Media Kit for our full range. > Banners on our top three pages: Homepage, Gig Guide , plus other popular pages. > Banners in our popular eNews with 1900+ subscribers. > Our Gig Guide Poster Wall is the ideal place for bands, venues + festivals/events to plug their gigs. Rates start at just $50+gst/week. > NEW PACKAGES offer coverage across Music SA website, enews, Facebook, twitter & Instagram. These packages are great value and perfect for venues, bands + touring acts. > Special discounts for those listed in our Artist, Venue, or Business Directories. Already have an idea of what you want? Simply fill out the online form below and we’ll be in touch ASAP. Do you require artwork creation? Click SUBMIT to access our Media Kit (pdf).